Steve Ditko (1927 – 2018). Sheesh. I mean, okay, I admit that deep down I kept a tiny flame alive for Stan Lee and Ditko reuniting for one more Spider-Man story, or that Ditko would finally decide to give one tell-all interview, both of which would surely occur now that flying pig technology has been perfected and Hell finally installed those air conditioners. 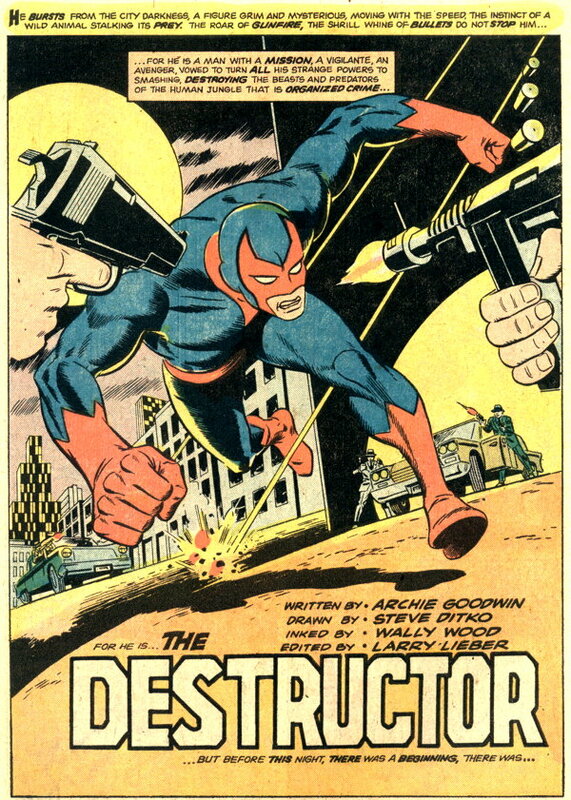 Anyway…Steve Ditko. There’s no mistaking his work for anyone else’s, and, especially in his later years, he did it the way he wanted to, beholden to no one’s editorial edict. It was low-hanging fruit to poke fun at some of his odder moments, I admit, but sometimes genius takes you in strange directions, and few geniuses were stranger, or more amazing, than Steve Ditko.